Miami Beach, Fl is known for the beaches, tourism and attraction, and the many site seeing activities which must be visited while in the world famous city. One of the great tourist attractions is Lincoln Road, which is located near South Beach. When visiting Lincoln Road, you will run across several famous restaurants, clubs and bars, the movie theater, and several shopping destinations. However, one of the biggest draws of Lincoln Road, which is a must see if you are in town between October and May, is the Lincoln Road Antique Market. Whether or not you are a collector of antiques, the market has a little bit of something for everyone, offers an eclectic mix of vendors and items for sale, and no matter who you are, or what you enjoy, you will find something amazing to take back home from your visit to Miami Beach, if you visit the Lincoln Road Antique Market. Not only is there a mix of vendors for any and everything you can imagine, you will be experiencing a part of the culture in the famous city, being around the locals and tourists alike, plus, you will get to experience the most wonderful weather around, which is why many visitors are so intrigued by visiting the area to begin with. The Lincoln Road Antique Market sells everything from jewelry, vintage clothing, vintage furniture, china, more modern antiques, and even local antiques which can only be found in the region. If you are a collector, or if you love antiques, or even if you just love the outdoors and being around a big crowd, you will definately want to visit the Lincoln Road Antique Market while you are on your vacation in Miami Beach. Although the typical visitors to the market are tourists, of course locals of the famous city are welcome to come shop as well. You will be guaranteed to have fun and find something interesting, beautiful, and something you would not find anywhere else in the world at the Antique Market. The vendors set up early in the day, and there are between 800 and 1000 blocks of shopping which are offered to vendors. So, not only are you going to find the most unique items and antiques out there, you will be getting a great workout as well, walking down block after block of unique and interesting items for sale to you. 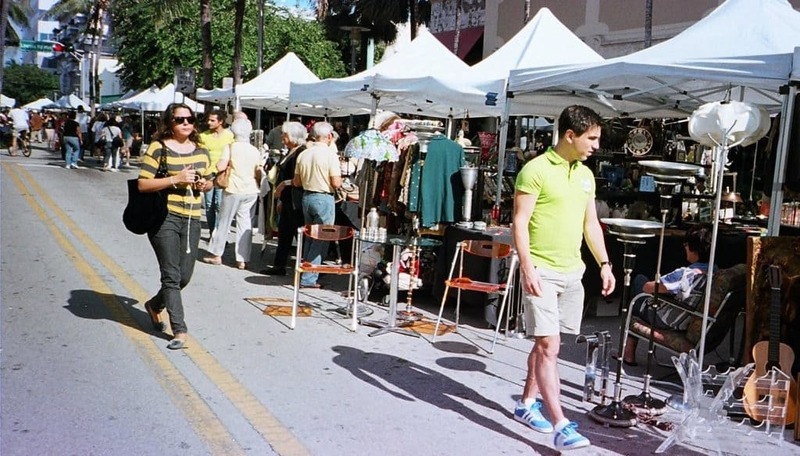 While walking down the rows of vendors, not only are you going to find the antique market, you are going to be walking down one of the most recognized tourist destinations in Miami Beach, which is Lincoln Road. So, even if you do not end up buying any antiques while making the trip, you are bound to find something interesting to do on this famous strip, where people from all over the world come to visit annually. If you are not into the antiques, you can shop at the many stores on Lincoln Road, enjoy the fine dining and cuisine from all over the world, at very well known restaurant names and destinations, or enjoy a drink at one of the many bars you will come across while walking down Lincoln Road. So, whether or not you are an antique collector, the Lincoln Road Antique Market is a sight to see for all tourists to Miami Beach.